Visit Frederick has officially launched its new Public Art Trail. The trail is a walking tour of public art in Downtown Frederick, with 17 stops and a two mile route. The Uptown Art Walk can be added to this tour and offers two additional pieces. A guide is available at the Frederick Visitor Center containing informative descriptions of each piece and a map of the area. The visitor center also serves as the starting point of the tour. This trail was made possible by a generous donation from Easels in Frederick, a 501(c)(3) organization dedicated to promoting public appreciation for plein air painting, increasing local and regional awareness of art as a commercial enterprise, and raising Frederick’s profile as an arts destination. 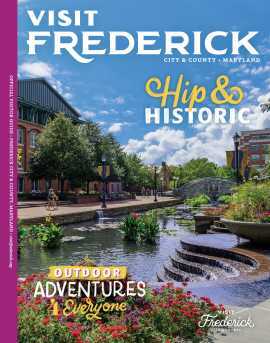 Visit Frederick is the recognized Destination Marketing Organization for Frederick City and Frederick County, Maryland. It operates the Frederick Visitor Center and related Visit Frederick programs that include Destination Marketing and Group Tour Marketing. 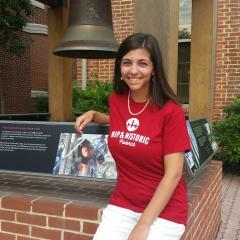 For more information about Visit Frederick, visit www.visitfrederick.org or call 301-600-4047.